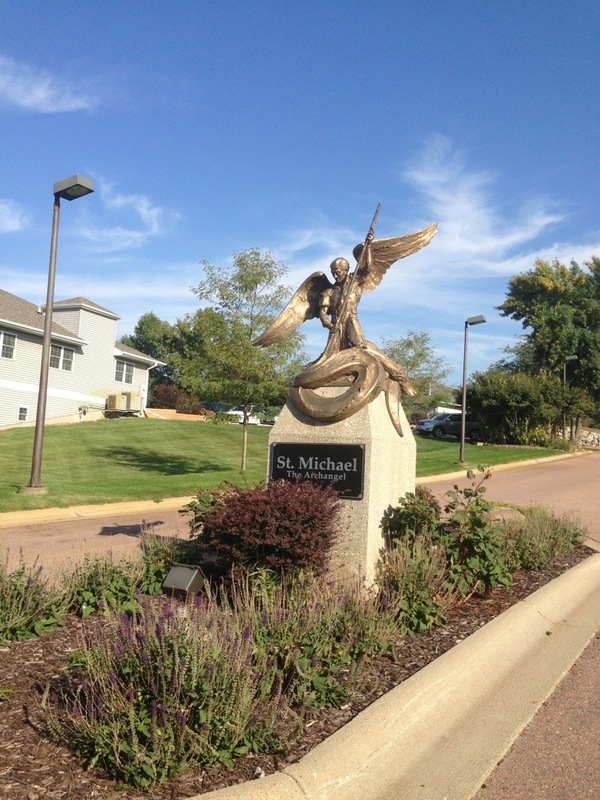 Day 12: Joplin, Missouri | Hold on, I'll tell you! Paul and I woke up in Sioux Falls this morning and were sad to say goodbye to South Dakota. We did make one stop here (you KNOW I couldn’t help myself!) here it is. 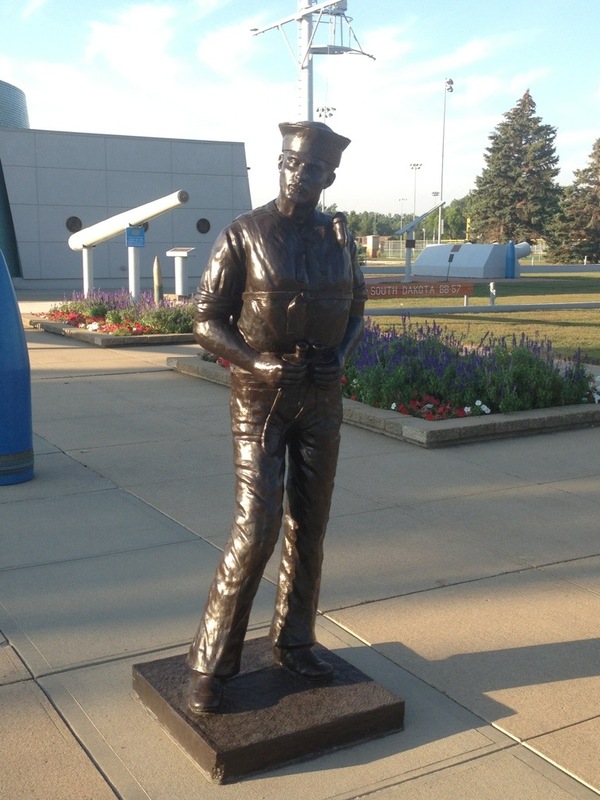 The USS South Dakota Memorial is dedicated to a US Navy Battleship that was in commission for less than five years! Because of her World War II exploits against the Japanese in the South Pacific, the USS South Dakota became a legend before she was even a year old. Her wartime accomplishments were reported in newspapers under the name “battleship X” and “Old Nameless”. When the Navy announced that it was going to scrap the battleship, a group formed to save part of it. The memorial has a foot-high concrete outline on the ground, 680 feet long. 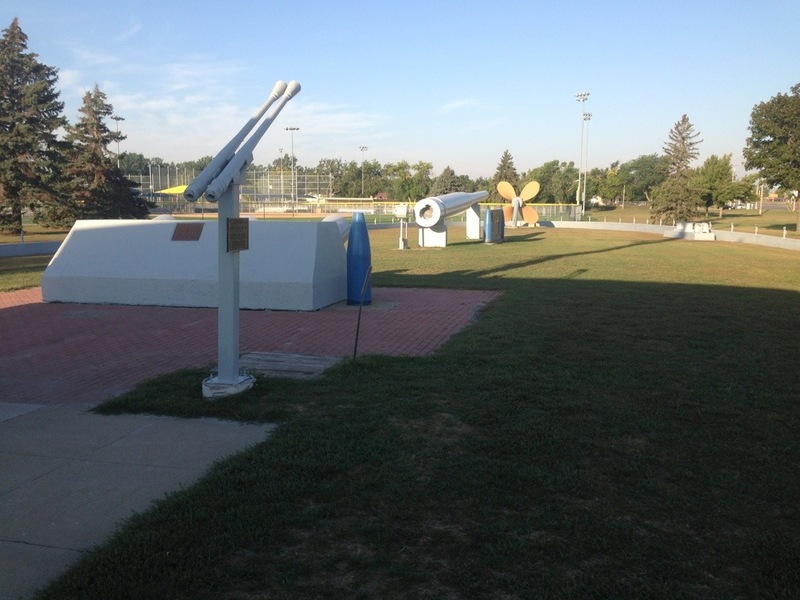 Along with the anchor, it includes the ship’s bell, a massive propeller, and other pieces. 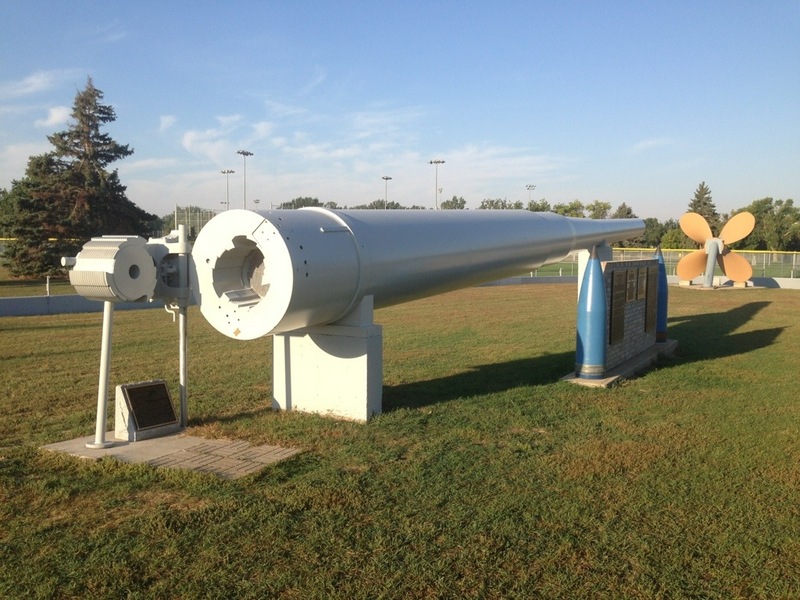 There is an original 16-inch gun and the actual flag mast. 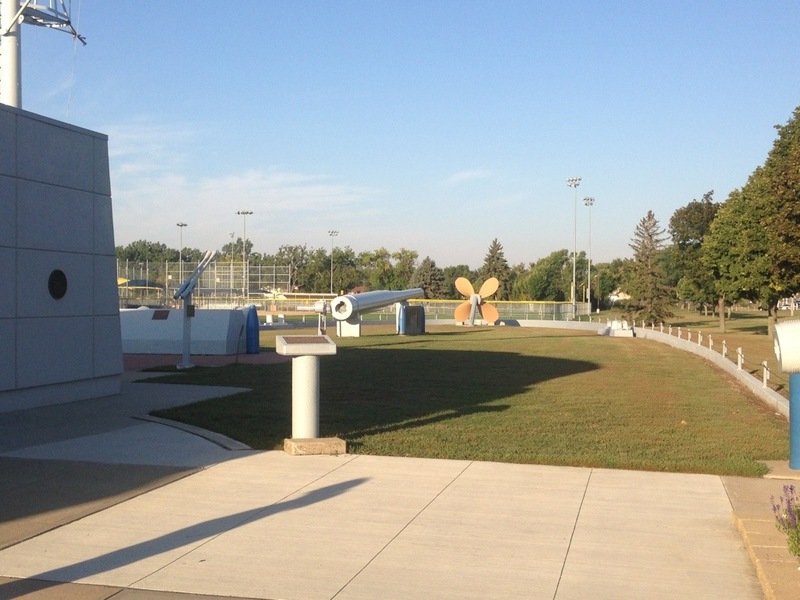 Every other year, alumni of the battleship South Dakota gather on its deck (lawn) for a reunion of these heroes and their families. I snitched this next photo from the memorial’s website so you could see how it looks from the air. I hope they don’t mind! Moving on down the interstate to Iowa! 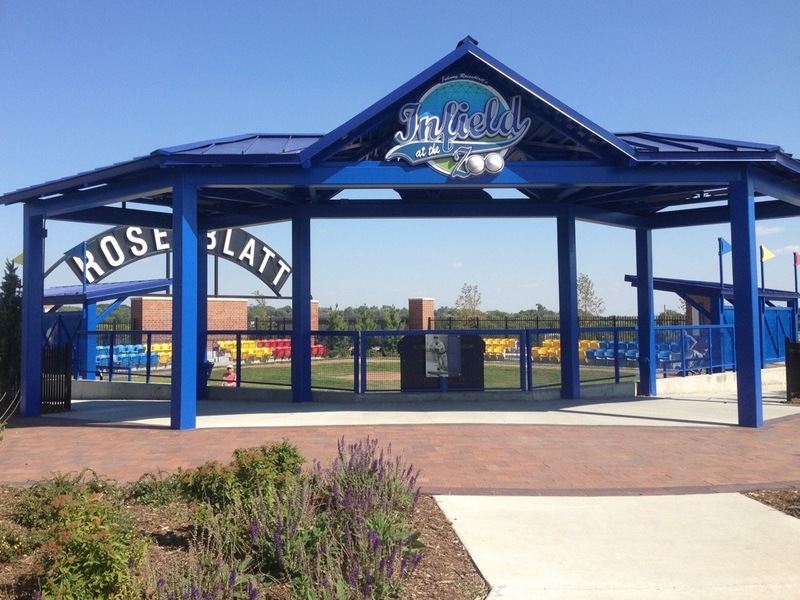 We were intrigued by a place we read about that was in Sioux City. 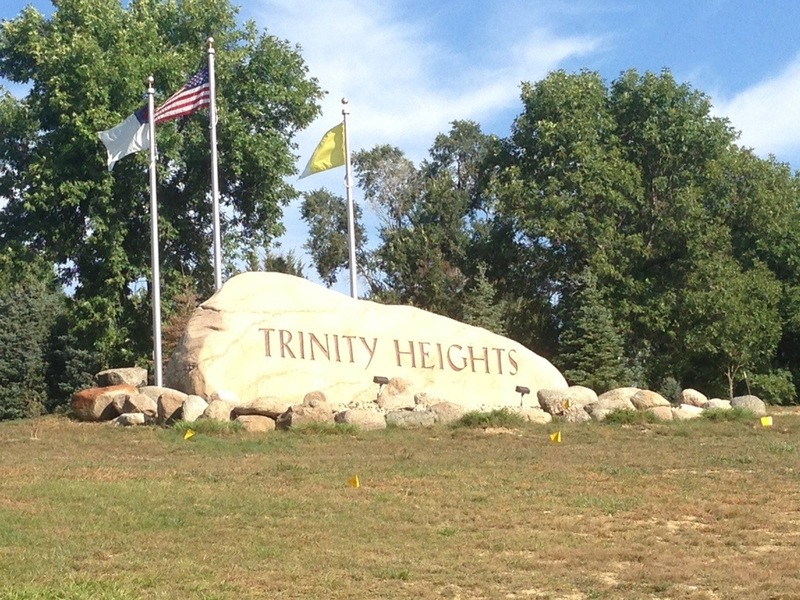 Trinity Heights was the dream of Father Harold Cooper after he saw a statue of Mary on a trip to California. 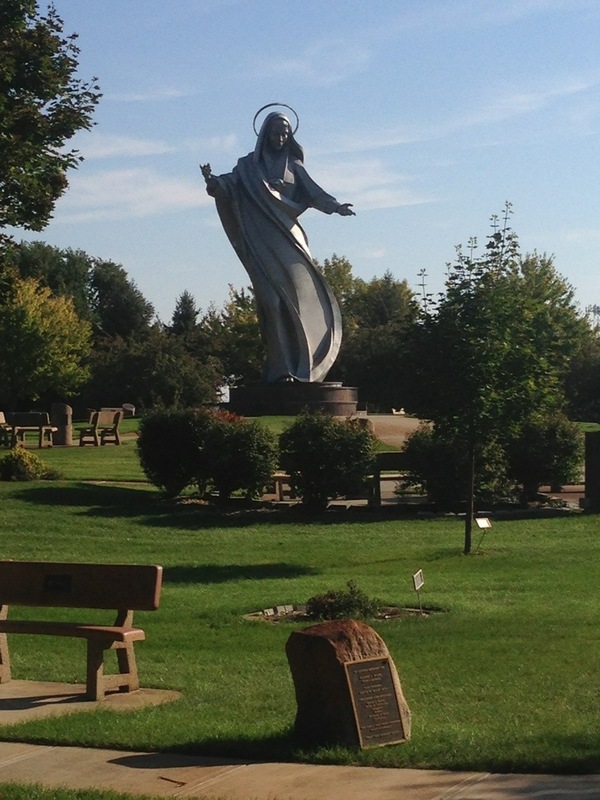 He tried to buy an old Catholic college on the edge of Sioux City, Iowa. But it was owned by a Savings and Loan who wanted a lot of money for the property. 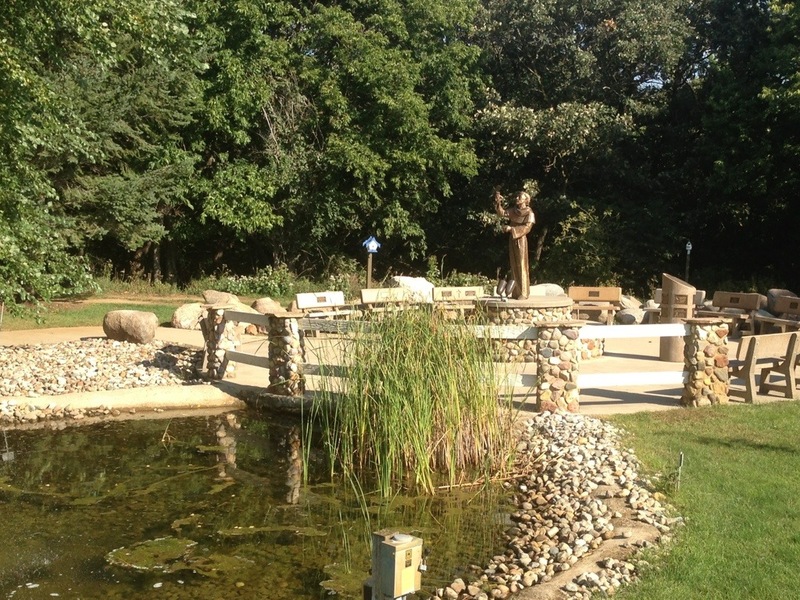 Father Cooper and a small group gathered on the site every day at 4pm to pray for a miracle. Two years later, in 1987, the Savings and Loan crisis occurred and Father Cooper was able to buy the land at 25% of the previous asking price. Who says prayer doesn’t work? 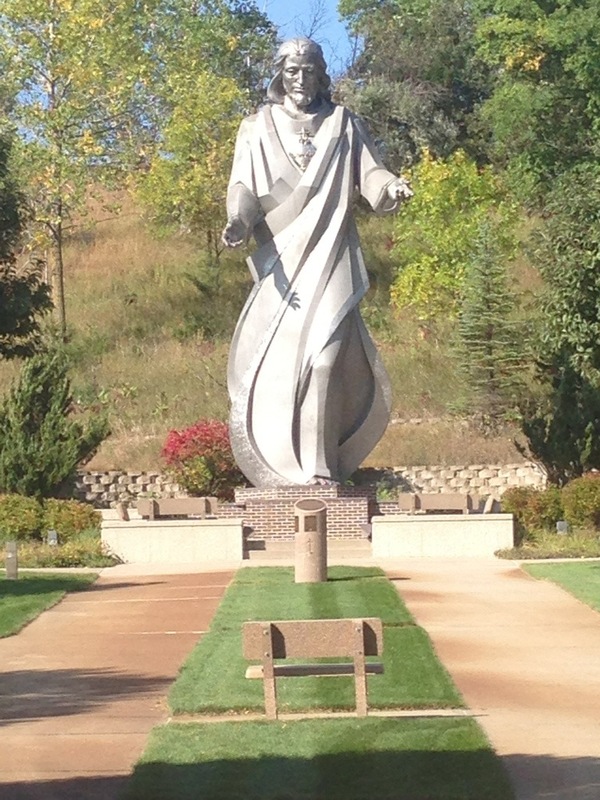 There is a 30ft statue of Mary, a 33ft statue of Jesus, as well as smaller pieces. 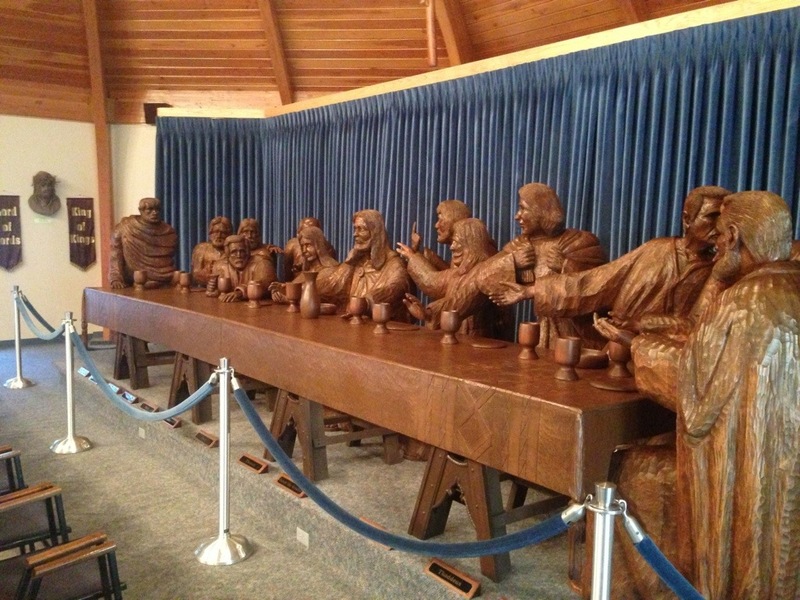 The life size wood carving of the Last Supper inside the center is phenomenal! 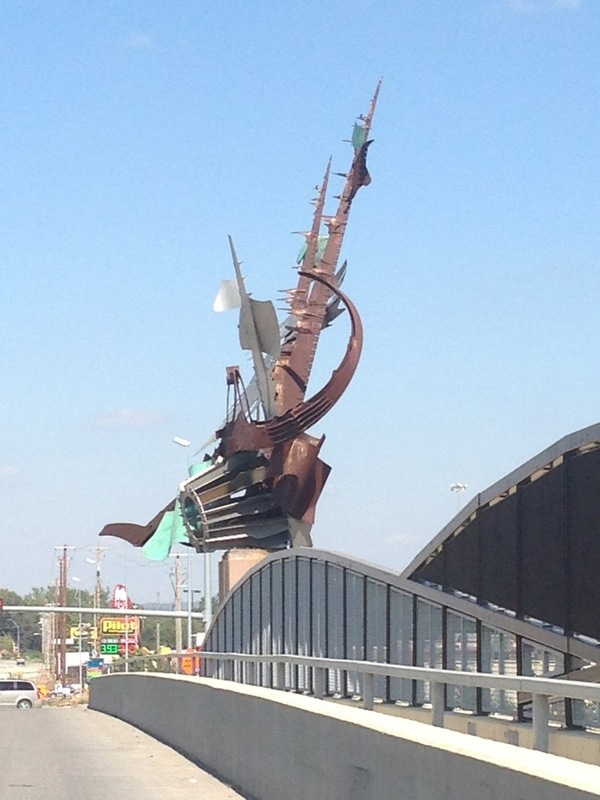 The artist gave seven years of his life to create this project. 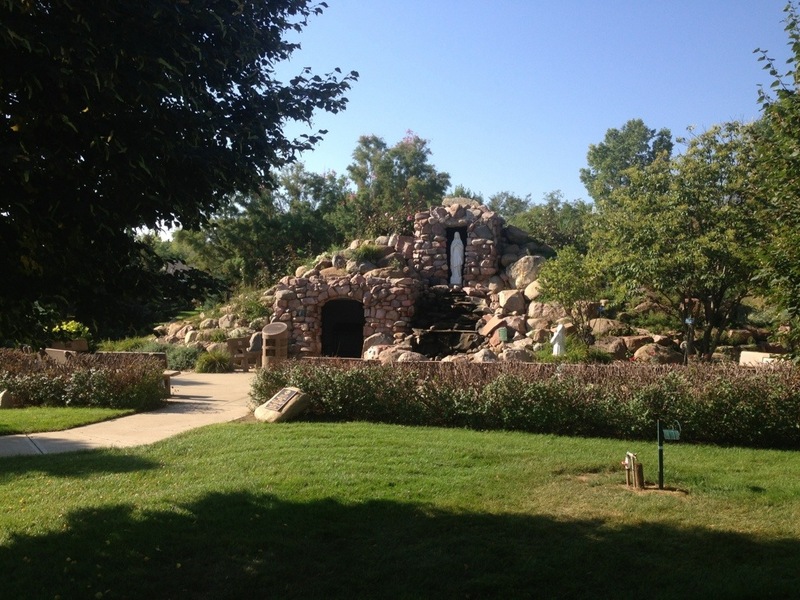 It is a beautiful, quiet place that is “Catholic in theology and ecumenical in intent”. Just a few miles away from Trinity Heights is the Sergeant Charles Floyd Monument. Any of you who are as interested in the Lewis and Clark Expedition as I am, recognize this name as belonging to the Corps of Discovery’s only fatality. 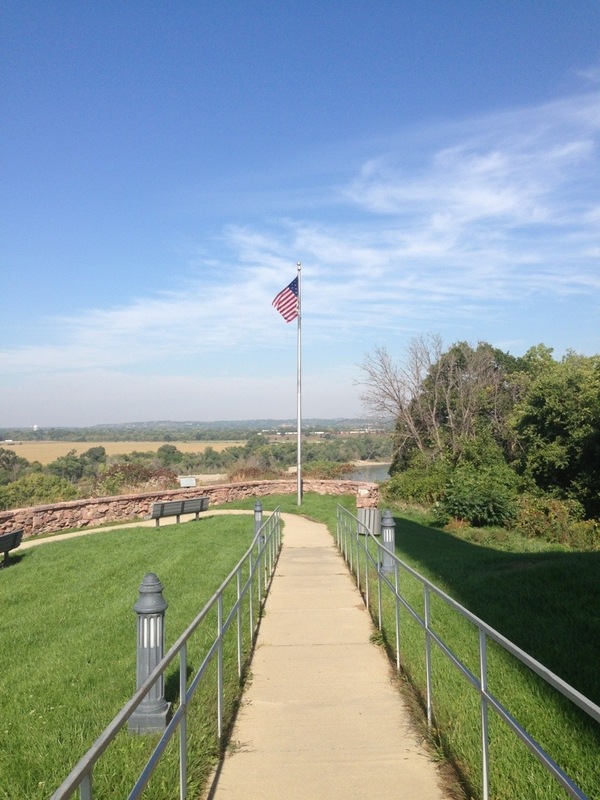 Sergeant Floyd died of a probable burst appendix near present-day Sioux City, Iowa on the upstream voyage in 1804. 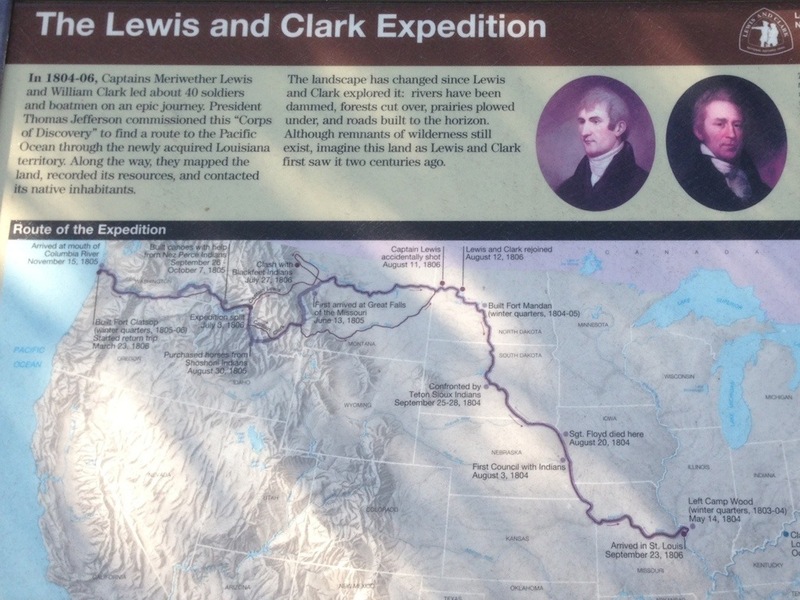 The Captains Lewis and Clark named the hilltop where he is buried “Floyd’s Bluff”. The current monument was completed in 1901 and in June 1960 was recognized as the first National Historic Landmark. 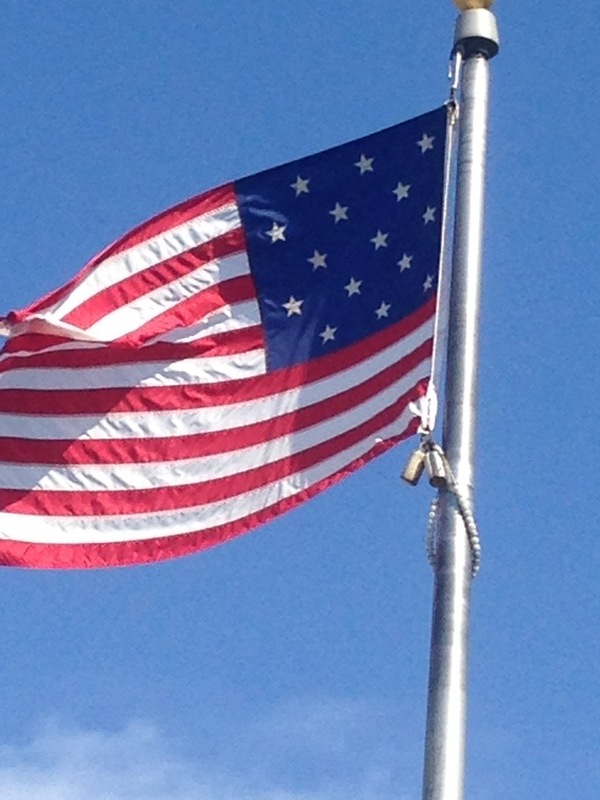 Did you notice there were 15 stars and 15 stripes on this flag? The flag that flies over Sgt. 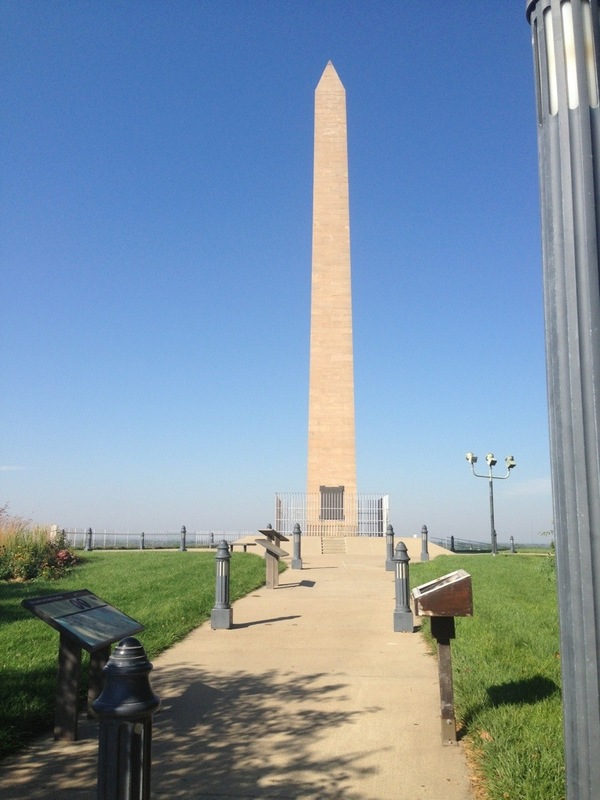 Floyd’s monument is an accurate reproduction of the flag that the expedition operated under in 1804. 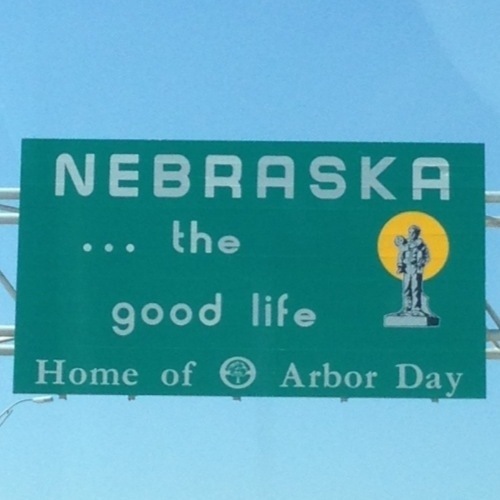 Apparently the good folks from Council Bluffs, Iowa wanted to make sure people were aware when they crossed from Nebraska to Iowa via I-80. Well you can’t miss it now! This is just one piece of “Odyssey”, four giant multi-ton metal piles of cones and cylinders and jagged discs. 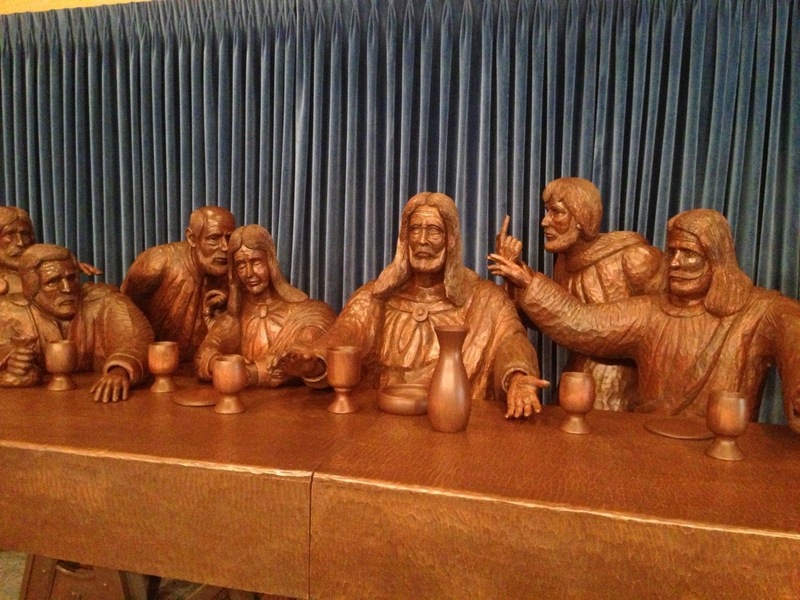 It cost $3.5 million. I agree with a lot of other people in thinking it looks more like “Freddy Krueger hands”. You be the judge. 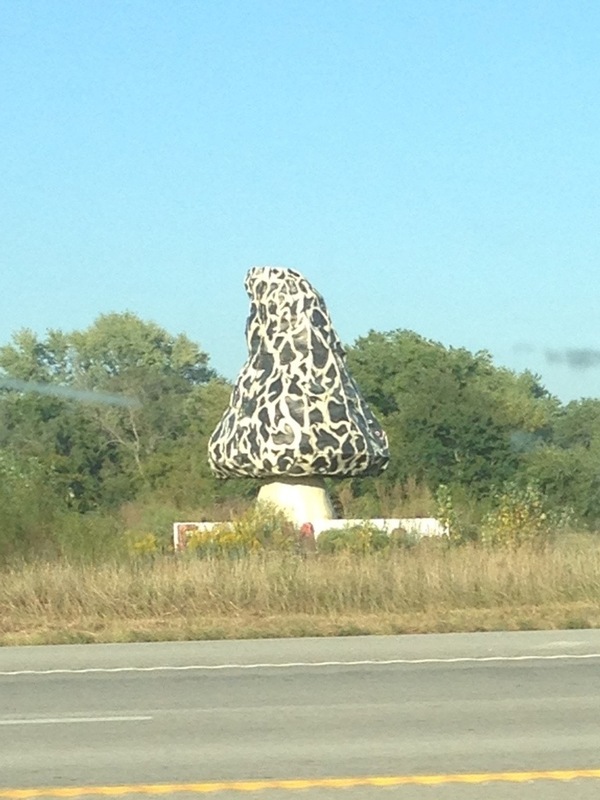 Between Kansas City and Joplin, MO we spied this huge mushroom on the side of the interstate. 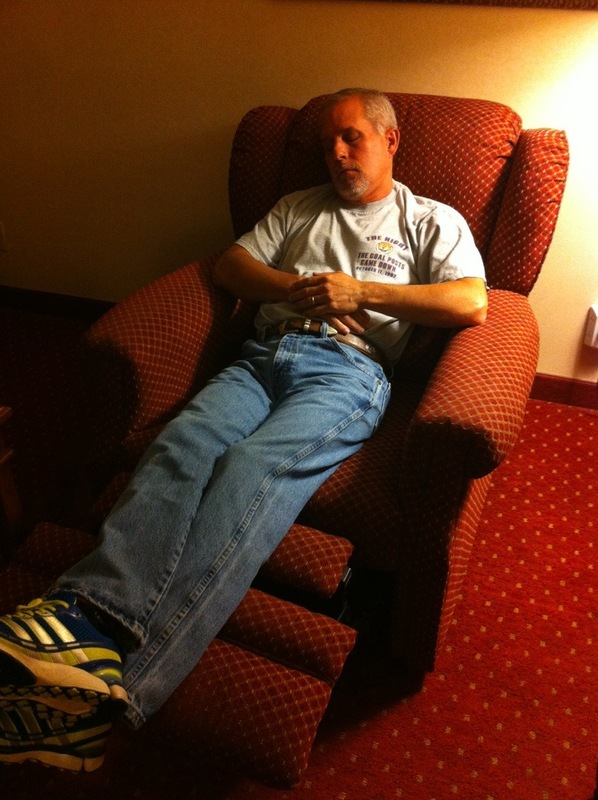 After twelve days on the road, Daddy deserved a recliner in the room…no extra charge!